Wimbledon Park is all set to be transformed into a wonderful open air classical music venue. 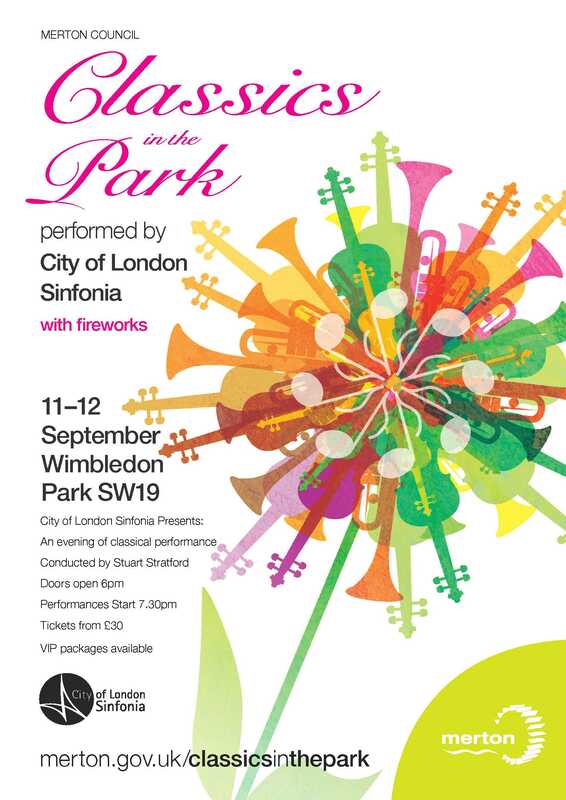 The City of London Sinfonia, under the baton of Stuart Stratford, will perform a range of classical favourites for ‘Classics in the Park’ on Friday 11 and Saturday 12 September 2015. Performances start at 7.30pm and finish at 10.30pm. Classics in the Park, performed by City of London Sinfonia on 11 – 12 September. Tickets are on sale through Merton Council’s website and are priced £30 for a standard seat and £40 for a premium seat. Corporate packages will be available from £60 per person. The full programme is online and includes favourites such as Mozart’s Eine kleine Nachtmusik, Bach’s Air on a G String, Pachelbel’s Canon, Puccini’s O mio bambino caro, Strauss’ Blue Danube Waltz and much more. A glittering fireworks display will add to the excitement of the evening. City of London Sinfonia enjoys rave reviews for its performances both in the UK and internationally. Resident orchestra at Opera Holland Park, City of London Sinfonia plays regularly at St Paul’s Cathedral and Cadogan Hall. They are also regular guests at the BBC Proms as well as at the Brighton, Spitalfields and Cheltenham Music festivals.